Hey Everyone. Here’s another Instant Indie-A quick look at some great Indie products. In our Halloween Edition we look at a Motion Comic with music, a Kickstarter comic based on H.P. Love Craft called Kidthulu, an addictive iOS game and some early information on a Zelda-esque game in its early stages. All of the information is straight from the developers’ mouths, and it’s not my spin. It’s what they want you to know about their products, except for my opening commentary on each. Enjoy, and thanks for supporting independent goodies. I’ve been talking with Elias Daler for awhile for an upcoming interview on being an Independent Developer. Look for that article soon. The concepts Elias is using and the gameplay his game will have are all things I’ve been wanting to see for awhile. I personally loved the Legend of Zelda games as well as early RPGs like Final Fantasy. Here’s to hoping this game fills my desires for an old school experience. Here’s a cool gif from re:creation. I cannot wait to play this game. Re: Creation is a hobby gamedev project being made by Elias Daler. Re:creation is an action rpg inspired by The Legend of Zelda: A Link to the Past and Earthbound.You play as an undead knight who can become people he kills and get their abilities to progress in the game and solve various puzzles. The main hero is an undead knight who was betrayed by his partner, Necromancer, during a fight with a giant demon. When the hero raises from the dead, he realizes that lots of time has passed since his death. The Great War between humans and undeads is being fought for several centuries. Necromancer is still alive. He actually became a Lich. He has lots of power and uses undeads as a cheap working force. The hero explores society of undeads and finds out that they don’t actually want to kill humans. They just want people to use them for training and steal their treasure! The hero decides to stop the war and prove that undeads are not that evil as it seems. Kidthulu looks fun and creative. It’s a quirky gamble. Let’s hope it pays off. I found Kidthulu while trolling Kickstarter for cool projects I could write about. How can you not get behind a cartoony version of the H.P. Lovecraft classic.? Maryland based writer Martin E. Brandt II and Baltimore area artist Charles C. Dowd in cooperation with Raven Warren Studios are launching their new comic book mini-series Kidthulhu: Tales of Madness on Kickstarter Thursday October 16th, 2014. Along with the help of Jess Boudrie, Courtney Hahn, Gaston Pacheco, and Martinho Abreu they plan to release a 32 page full color first issue. Kidthulhu is the tale of the world as seen through a 10-year-old monster of madness accompanied by this faithful Shoggoth Shog and his best friend Capi, The Albino Goat of the Woods with 999 siblings. 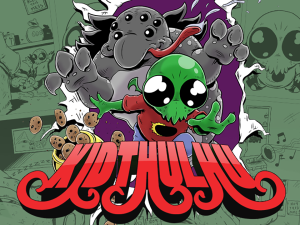 Kidthulhu: Tales of Madness is a ridiculous reimagining of the Lovecraft universe that you can share with kids. I took a look at Darkmoon in the first ‘Instant Indie’ and looks like it’s finished and ready to experience. Follow the link and watch/listen. It’s a great Halloween experience. 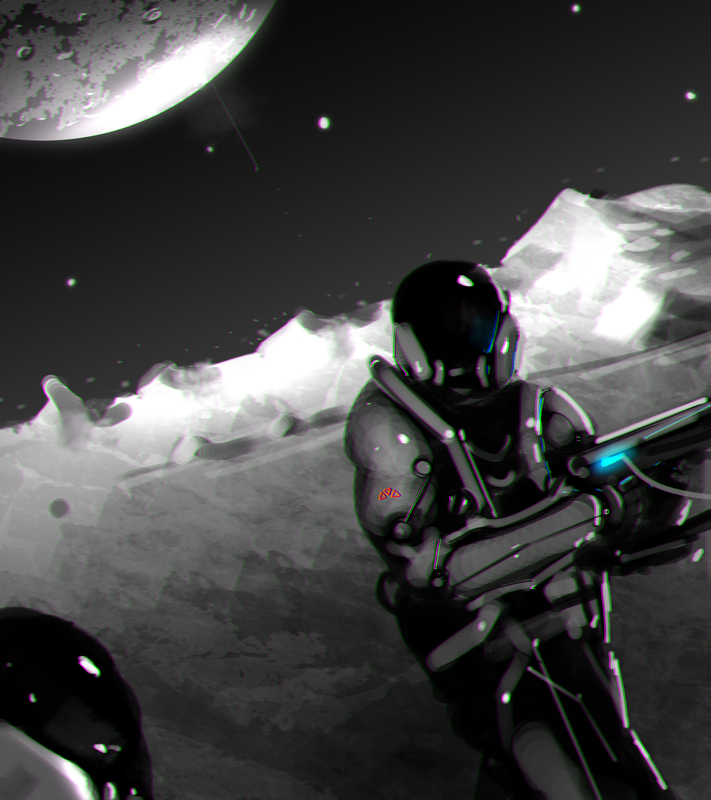 Dark Moon is an exciting new comic that features an original soundtrack designed to be listened to while reading. You can stream the music while reading the digital versions, watch our youtube series, or download the soundtrack to listen to while reading our print copy!The story is about Dante, a scientist in the late 21st century, who is working on teleportation technology when a cataclysmic event, a meteor strike near his hometown of San Francisco, causes him to have to use the transporter to transport him and six others to safety. They make it to a distant moon, but they find out their problems are just beginning. Check out the motion version here. 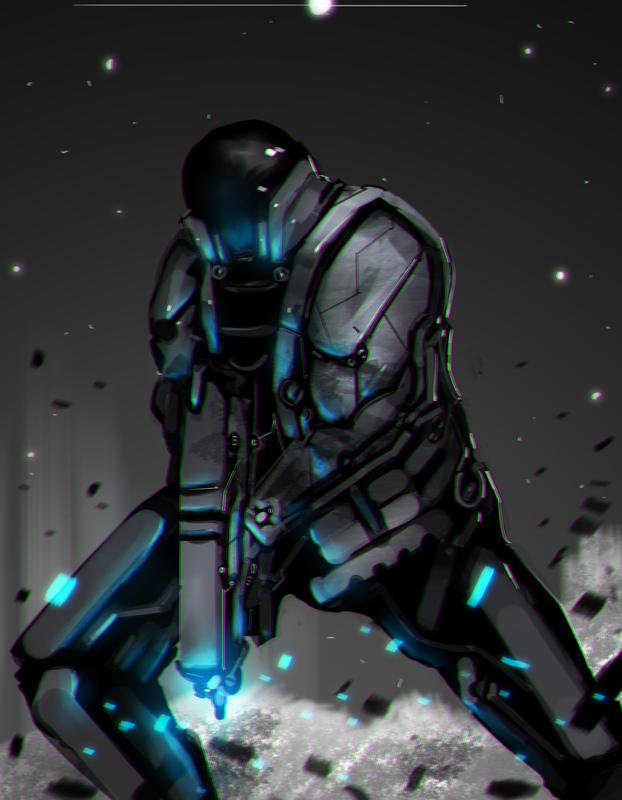 Dark Moon Motion comic. Well, at least there aren’t any monoliths here. I don’t think scientists were taught to shoot monsters on distant moons. At least, not at MIT. I actually reviewed this game and really enjoyed it. Have a look at my review here. My girlfriend is actually still playing it and loves it. It has really addictive gameplay and surprising depth. The Doctor and his assistant need help creating their monster. Experience their story with this new twist on the puzzle genre featuring a story mode with 17 levels of game play, spoken dialog, and immersive music. To aid your matching efforts the Doctor has created powerful potions that you can use to get out of dead end situations. 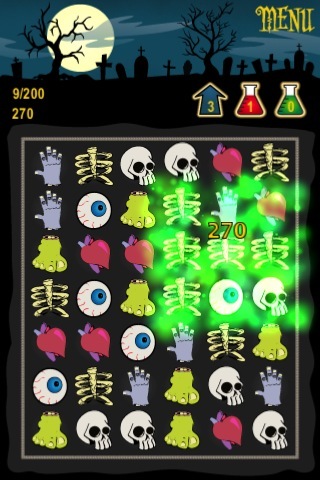 Hone your matching skills or play a quick game by playing in Endless mode. But don’t worry; your progress is saved so you can continue your game at any time. 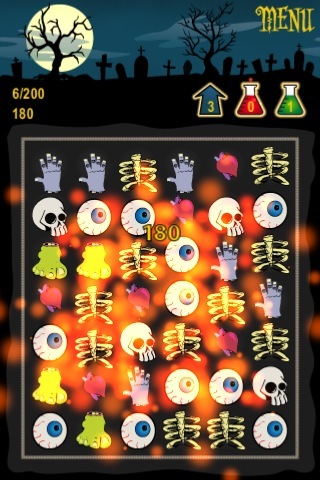 Tiny Grave may be inspired by puzzle games of the past but it has a style and game play all its own. Download it today and experience Tiny Grave for yourself. Use your explosive vile to open up a dead board. Acid clears out an area, opening up new body parts to collect. The images I’ve seen so far are stark like this one. It promises to have a grim and haunting atmosphere only a moon can provide. I love to troll Steam and Twitter to find new indie games, so one night when I had a hankering for a comic book that was something dark and moody, I thought I’d give the method a try with comics. I happened across a new comic-book project titled Darkmoon. It is a little reminiscent of ‘The Fall,‘ a game I reviewed and loved. It aims to bend what we think of with comics by utilizing a soundtrack to play along with your comic. This isn’t a new concept, and I believe it’s been done by some apps, and yours truly would love to do it in the future with “Vile: Lost Legends of the West,” but the implementation and the process is what sets it apart. As Tom Freeman, one of the creators of the comic explains, it is the first shot at a full comic book by anyone on the team. Way to shoot for the moon. I love the idea of some fresh voices coming to comics and trying something new. If it’s done and done well, it could be a great experience. Tom also let me know that they are working hard to have the comic out by Halloween, which would be ideal. The story follows a scientist named Dante and occurs in the latter part of the 21st century. Dante’s team of scientists are in their lab creating a device to allow teleportation when a freak meteor lands in San Francisco. 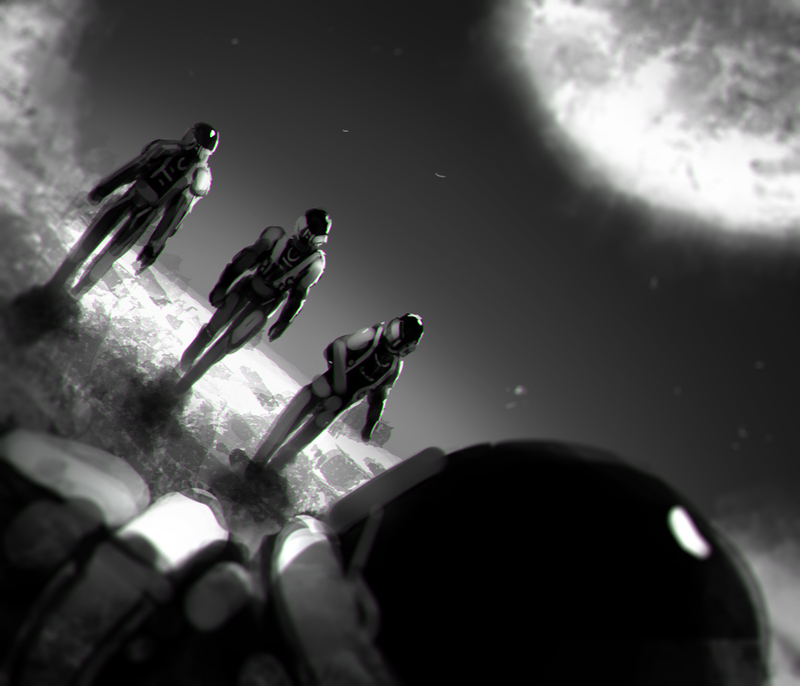 The team risks using the unfinished technology, and is able to escape to the seemingly safe distant moon. They quickly find that things are not as safe as first thought, however. For more information on Darkmoon, check back here often, as I will be reviewing it for Halloween, and Tom Freeman should be appearing on our podcast, SOBS for our Halloween episode. There is also more information at their website, and follow their twitter for updates. Here’s to wishing the Darkmoon team Godspeed and lots of energy to get the project completed by All Hallow’s Eve. Follow Richard on Twitter @rpdgame and follow him here for the latest game news and reviews. 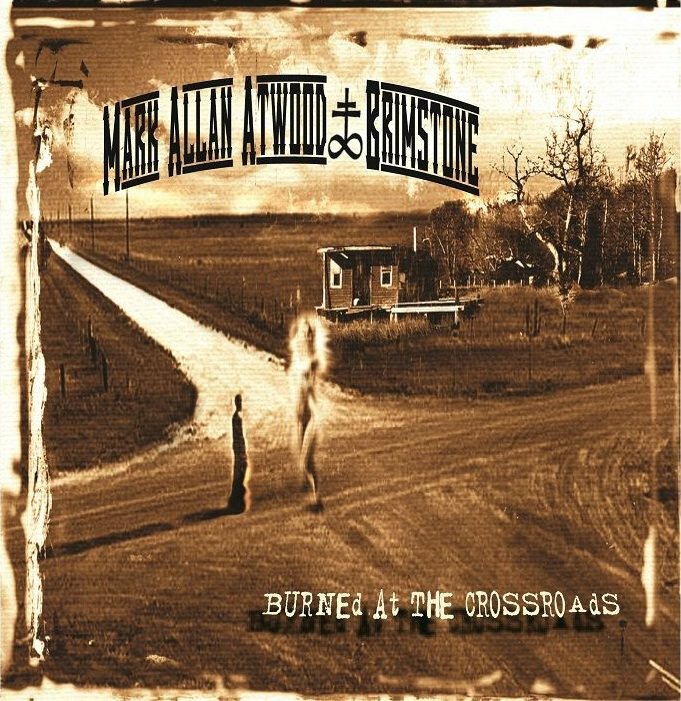 Mark Allan Atwood and Brimstone “Burned at the Crossroads” review. Though it doesn’t do men like Mark Allan Atwood justice to compare them to others, I’ll try futilely to convey my impression of his album anyway. He’s somehow nestled between Mike Ness, Van Morrison, James Taylor and Guy Clark- plain spoken and accessible and clearly wise and seasoned. This album fits easily with the late 60’s early seventies, when session players were sages not mercenaries, and songwriters knew how to convey a message that was complex with subtlety and ease. Atwood plainly states as much when he references Zeppelin in the first track of the album. It would be simple to say that the production on “Burned at the Crossroads” is understated, so I will say it. That is, understated compared to many of the albums that make their way to the radio today. I’ll amend that and say that the production here is true and appropriate. It isn’t hard to imagine that Mark Allan Atwood and Brimstone sound just like they do live as they do on this album. I’m sure they have much more energy and ferocity on stage. I just get that feeling from these songs, and from Atwood. I’m certain they’re a force to be dealt with live. It is a testament to Atwood’s leadership and songwriting that the band of accomplished musicians that make up Brimstone would willingly lay back and let his songs remain the focus. Even several appearances by the legendary Lloyd Maines don’t detract from the songs, and at no time does anyone take an excessive solo or play something that isn’t completely tasteful. The tandem of Matt Nunn and Rich Tulp are in the pocket so deep that they could probably count Mark’s change, and are an Americana version of Tommy Shannon and Chris Layton. In a nod to their band name Brimstone, I’ll proclaim them to be the “Devil’s Deuce.” Mitch Connell is so subtle and doesn’t seem to be there until he stops playing. His B3 and piano work should be poured over by aspiring players to learn what and when to play, and why to play it. “Oakalla Road” and “Good Old Days” are the stand out songs to me. The clever uses of harmony vocals on “Good Old Days” fit seamlessly and seem to be a nod to not only the sixties, but also to punk rock. This is where the reference to Mike Ness comes in. Wayne O’Neil has a nice knack for playing his “cheap telecasters and Les Pauls” with panache and makes the signature lick stand out even though it is simple. “Good Old Days” has a chorus better than most anything available on the radio right now, and pun intended, “better than what we got.” My only complaint is the song doesn’t have another chorus or two. “Oakalla Road” is another song that stands up well against anything you can find on Texas country radio. I can Imagine Atwood lightly singing these lyrics to himself as he writes them while driving down a farm to market road after a show. With “Anyone listening” Mark Allan Atwood’s 80’s metal pedigree shows through in the production, instrumentation and in the delivery. This song would easily translate to the late 80’s with the likes of Tesla or Cinderella. This is actually a breath of fresh air considering the cookie cutter production that is so prevalent today. By the time “And Whiskey” rolls around, Atwood again refers to the green stuff. He doesn’t overdo or glamorize the substance like many in the music industry are known to do however. “From the Water” is a solid confessional about what makes Atwood, Atwood. Many of Texas’ residents will be able relate to this autobiographical tune. “Liar” takes a drastic left turn and sounds a bit out of place amongst the other Americana songs. The album did need some more upbeat or blues infused songs, so the choice is excusable. The album art is exceptional. Sepia tone and the old west are all old hat in North Texas, and nearly every red-dirt or Texas country artist it seems uses them. It grasps what countless others have tried to accomplish. The crossroads pictured are easily recognizable and universal, but the burning being and decrepit home on the corner represent what those images and archetypes mean to Atwood. The “outlaw” look is also overdone and has been beaten to death, but the design by Melissa Arnold of Texas Red photography deftly avoids the common missteps taken by other bands with their look. Mark Allan Atwood and Brimstone look dangerous to be sure, but look like men who would rather take care of business than worry about looking the part. No false bravado or empty stares, just men that will make you wish you would’ve chosen your words differently. Atwood doesn’t have to worry about his word choices however, they fit exactly what he wants to say and who he is. Mark Allan Atwood clearly has years under his belt, along with the proverbial notches on it. These songs seem to be written from the correct place and are carried in a way that is fitting for his voice and style. He isn’t trying to take one last crack at fame and isn’t pandering to one demographic. I don’t get the impression that he is trying to get radio play, or the album would flow much differently and would have a lot more twang and a typical telecaster sound. That’s not implying the songs are not well written, or well produced; they are both. They are genuine and at times stark. Atwood throws away any concern for cliché or reinventing the wheel. He says what he has to say, tells his stories and then he moves on. There is no pretense and no attempt to be clever, just his vision of what is, and what was. His voice never waivers on this album, and he expertly walks the line between expressing his songs, and pushing it too far. “Burned at the Crossroads” is a fine balancing act delivered by a genuine songwriter with nothing to prove to anyone. 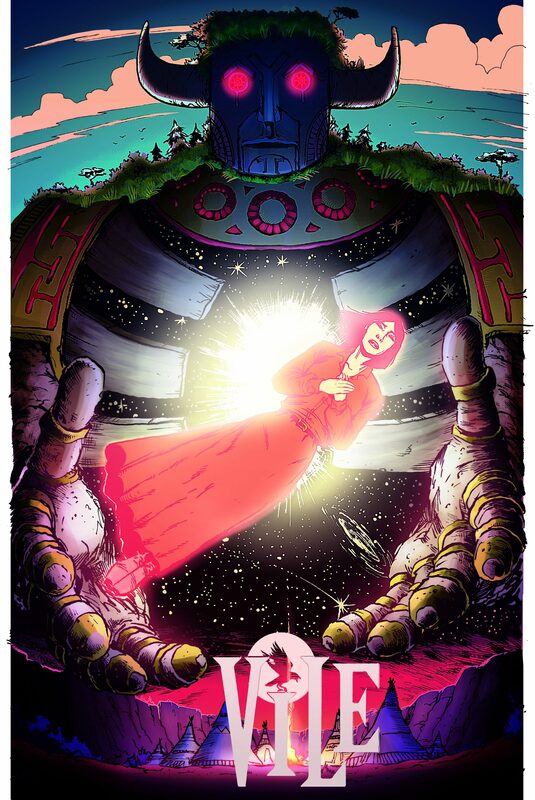 Album art By Texas Red Productions.